Lincoln drew 108 people on 78 cards, each relating to the card they represent through body language or activity. The deck also represents all four seasons of our lovely city, evident when the people are pictured outside or conveyed through their clothing. The original illustrations for the cards are rich, highly detailed, colored pencil drawings. 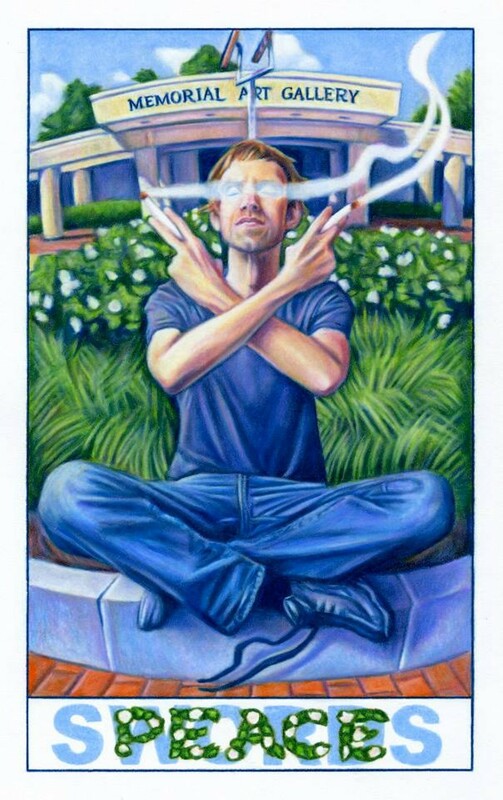 Lincoln has cleverly hidden the numeric, astrological, elemental, and planetary symbols associated with each card in the stunning compositions.